The new video is being produced in Australia, but the wisdom is universal. flashtoons — June 6, 2010 — Trailer for Geoff Lawton’s Permaculture Soils DVD coming out later in 2010. 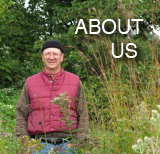 For more information visit http://www.permaculture.org.au or go to http://www.ecofilms.com.au. anetprophet — April 28, 2010 — The soil cube tool is a simple hand-operated garden tool that compresses soil into a cube which then is used as both the soil and the container for starting garden seeds. Once the seeds have grown into seedlings, the soil cube containing the seedling is easily transplanted into the garden. There are no peat pellets, peat pots, plastic pots, etc. There are several advantages to using soil cubes instead of pots. One, the seedlings will not become rootbound. The soil cube “air-prunes” the roots, and the roots stay inside the cube. Two, because the roots are contained inside the soil cube, there is no transplant shock when they are moved into the garden. This makes the plants take off much faster once moved to the garden. When compared to purchasing peat pellets, peat pots, or other small plastic pots that will deteriorate over time, the small expense of a Soil Cube tool will be immediately offset in the first few flats of seedlings. If you purchase just two trays of peat pellet starting kits, you will have already spent more than the cost of the Soil Cube Maker which will continue to make unlimited soil cubes for seed propagation. April 21 update: To learn lots more about this program, visit the PBS series “Independent Lens” here.